This year UHArts have surprised and delighted staff and students with lunchtime performances from members of the University’s resident orchestra, the de Havilland Philharmonic. 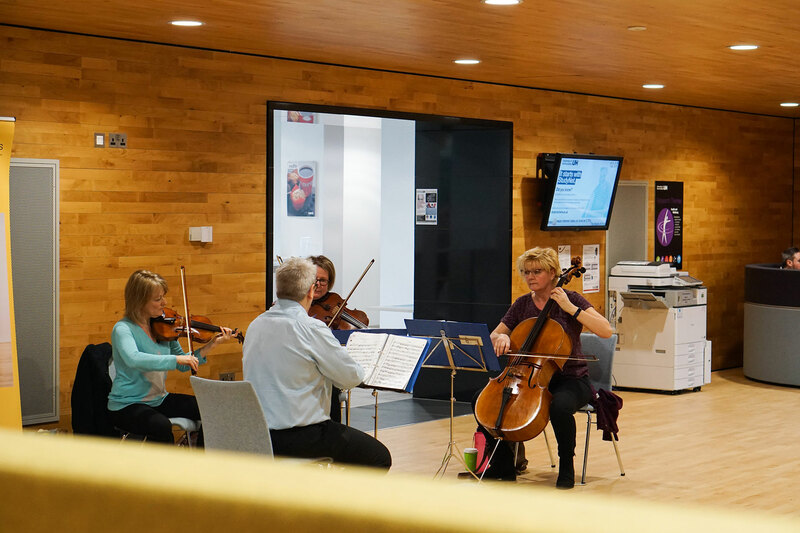 Staff, students and visitors to the University’s College Lane campus have enjoyed their lunch alongside uplifting and relaxing classics from the orchestra’s quartet. The orchestra is open to musicians who play to Grade 8 standard or above. Regular concerts with the full orchestra and guest soloists are held at the Weston Auditorium on the de Havilland campus and are FREE for students.